Bro. 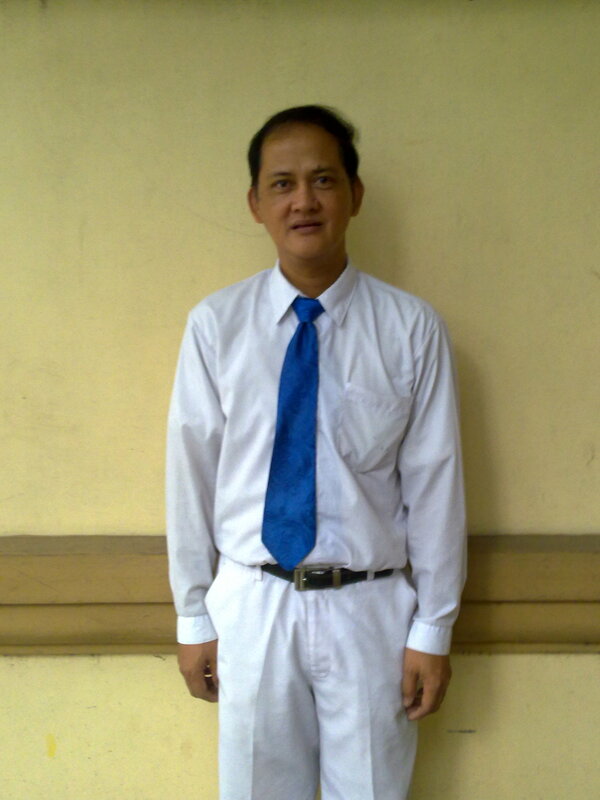 Jun Villanueva in his Jesus Finest Generation Choir Sunday uniform. Taken at Amoranto Stadium, Novemebr 2011. I have heard numerous testimonies in our Church, JESUS MIRACLE CRUSADE INTERNATIONAL MINISTRY, about God’s mighty deliverance in times of robbery hold-ups in public transport. Almost every week, there are fresh testimonies of this kind, which only proves two things, one is good, the other bad: God is faithful to His promise to protect His children in times of danger, and criminality in our country continues to be rampant. Such testimonies about God’s powerful deliverance in times of great danger vary in each situation, but they have one thing in common: the victim’s unflinching exercise of faith during such times. Most of the testimonies I’ve heard tell how the robbers or hold-uppers assure the Christian that he or she is not included in their criminal act. Such statements as, “Be quiet, we will not include you or harm you.” For unbelievers and cynical people, they may find such testimonies as unbelievable or even amusing. But such is the testimony of God: incredible! Brother Jun Villanueva has been serving the Lord faithfully in JESUS MIRACLE CRUSADE INTERNATIONAL MINISTRY for over two decades now, is a member of the Jesus Finest Generation Choir and is also a leader of the Youth Choir, teaching them in choir practices. Such rehearsals often end late at night. Two Sundays ago about ten in the evening, Brother Jun was going home after choir practice. He rode a passenger jeepney in Cubao bound for Marikina. Immediately after he settled in his seat, exhaustion took over and he fell asleep. Suddenly, he was awakened by a commotion inside the passenger jeepney he was riding in. He then realized that there were hold-uppers inside trying to rob the passengers. They were collecting their victims’ belongings such as cellphones and wallets while a sharp knife was being wielded towards each one. There were three of these hold-uppers. Brother Jun, being filled with the Holy Spirit having come from an all-day worship service, rebuked one hold-upper that was near him. He shouted, “In Jesus’ name, you stop what you are doing right now!” The hold-upper was taken aback. For a moment, he hesitated and seemed like he didn’t know what to do. But he recovered from his momentary surprise and he became more aggressive, aiming to attack Brother Jun with his long, sharp knife. But Brother Jun was quick to shout with all power and authority, “I am a child of God and I command you to stop right now! Fear God, in Jesus’ name!” At this, the hold-upper was flung backwards as if by an invisible force. And together with his two other companions, they hurriedly scrambled out of the jeepney and fled in sheer panic. Brother Jun went home safe and unharmed. Sis. 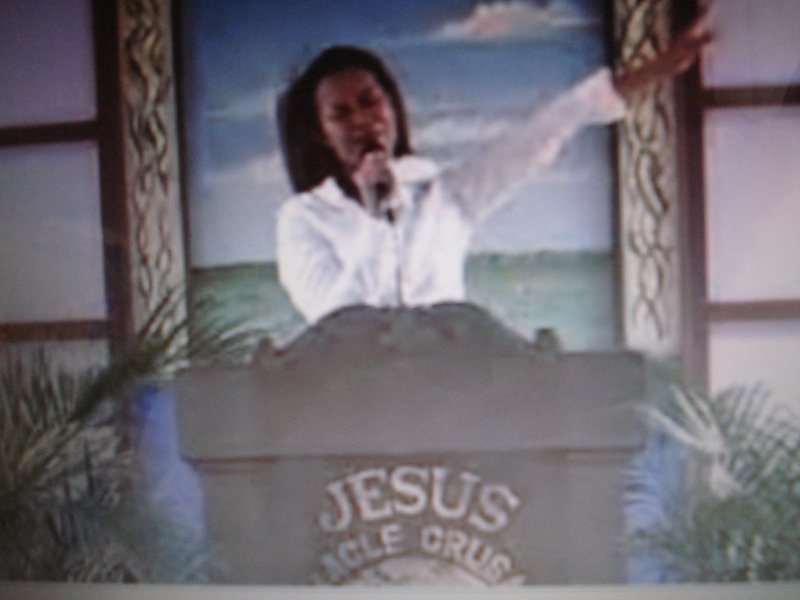 Sarah Matute testifying in the pulpit during JMCIM Sunday service, Oct. 31, 2010. (This is just one among many testimonies in Jesus Miracle Crusade International Ministry of God’s deliverance in holdup or armed robbery incidents in public transport). On October 30, 2010, at around 5am, Sis. Sarah Matute and her brother were traveling home in a passenger jeepney. They just came from the Jesus Miracle Crusade International Ministry overnight worship service. They were traveling with other brethren from the church. They were heading to Fairview, Quezon City. 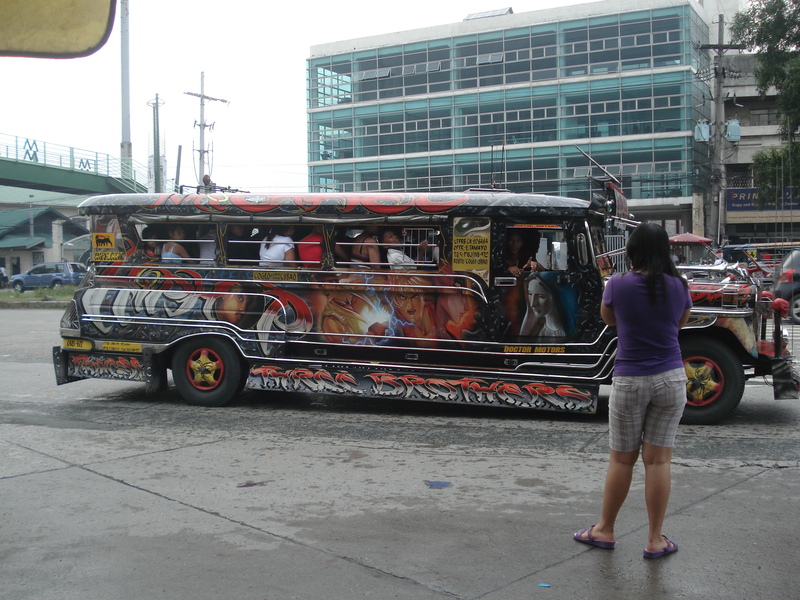 At Tandang Sora, two men flagged down the jeepney they were riding on. The driver told them that he wasn’t taking any more passengers, but the two men said that they will get down at Old Balara, which was just near from where they boarded the jeepney. A passenger jeepney. This kind of public utility vehicle is found all over the country. Sis. Sarah could hear her brother, who was sitting beside her, uttering “In Jesus’ name!” under his breath. She was really wondering why. (She didn’t know then that her brother had suspicions on the two men’s dark plan). At Old Balara, the two men told the driver to stop. Sis. Sarah saw one of them taking out something from his pocket. She thought he was fishing for money to pay for their fare. But to Sis. Sarah’s great surprise, he took out a “balisong” (a sharp fan knife). Then they declared a holdup. Sis. Sarah and her brother, together with the other brethren in the jeepney, rebuked them by uttering “In Jesus’ name!” repeatedly. One of the men took Sis. Sarah’s paper bag and fled. The man suddenly realized that he wouldn’t prevail and he panicked. He told them he wouldn’t bother them anymore, then he fled as fast as he could. Sis. Sarah didn’t hear what the holdupper was saying, (only her brother did, who told her when they arrived home), because she said she heard a multitude of angels praising! She said it wasn’t just a few, but a multitude, praising God! At home, Sis. Sarah was thinking why she didn’t let go of her bag. When she looked inside, she saw her passport. (She was blessed to work in Canada and is leaving on December 27th). She knew that if her passport was taken, with her working visa for Canada, it would pose a big problem. But the merciful and mighty God didn’t allow all that to happen!